If you live in a home you own, you may be able to reduce your property taxes by making sure you are taking advantage of all exemptions. This is especially important as property values continue to rise across Fulton County and the metro area. 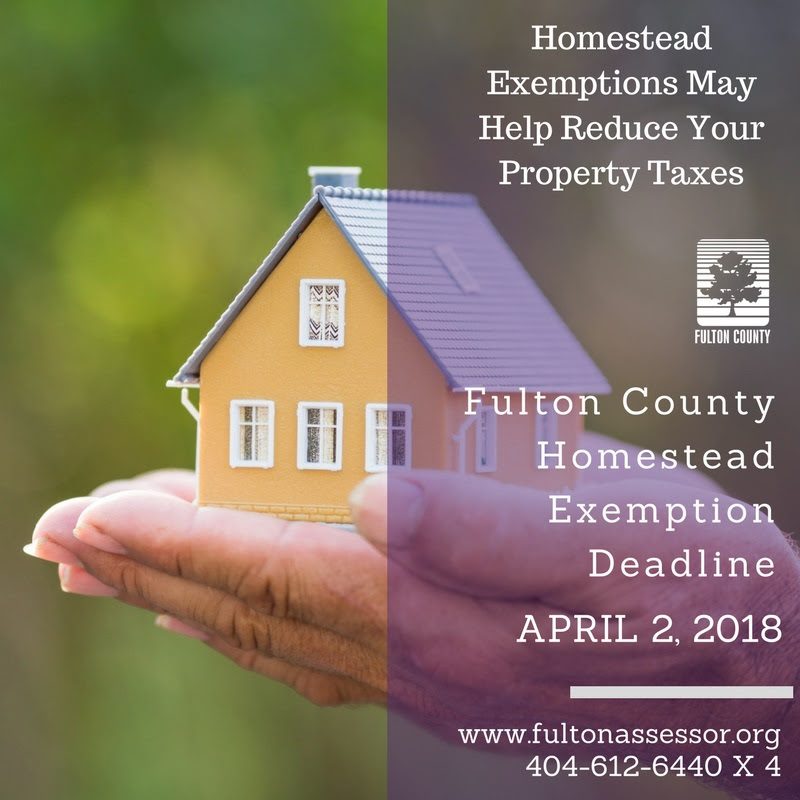 To qualify for homestead exemptions, the property owner claiming the exemption must own, occupy, and claim the property as their legal residence on January 1 of the year in which they first qualify for the exemption. In addition to basic homestead exemptions, there are other exemptions available for seniors. These exemptions have requirements for both age and income. Some require the homeowner be at least 62 years of age and others stipulate that the applicant is age 65 or 70. Exemptions are available for people qualifying for full disability and other special circumstances. Homeowners must apply for exemptions – they do not take effect automatically. Basic homestead exemptions renew each year automatically as long as you own the home. Most senior exemptions also remain in place as long as you own the home. If any changes are made to the deed, even if the occupants remain the same, you will need to re-file for homestead exemption. The 2018 homestead exemption deadline is Monday, April 2. Fulton County residents can learn more online at www.fultonassessor.org or by calling 404-612-6440 X 4.